Premium patterns fully customizable to suit your design needs. But here's a 5-Step crash course anyway! The first step is to select a pattern. We're adding new designs all the time, and also looking for new design partners, so if you don't see something you like be sure to check back from time to time. 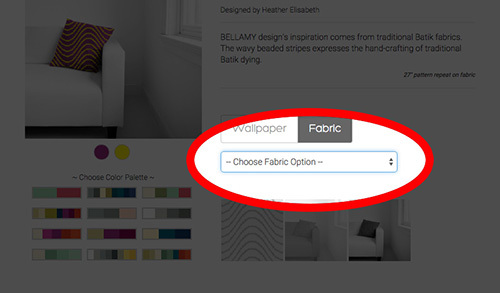 Once you're selected a pattern, you're ready to start playing around with your colors. 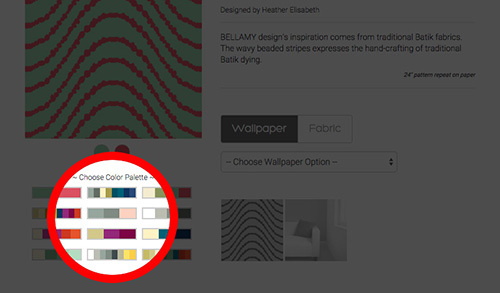 Click on one of our suggested color palettes to quickly cast new colors onto the pattern layers. If you like, you're welcome to tweak the individual layer colors beyond the default palette settings. 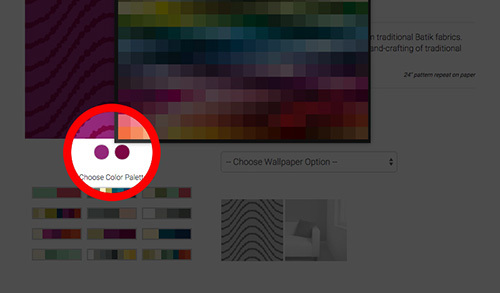 Just click on the small circle under the pattern that corresponds to the color you want to change. 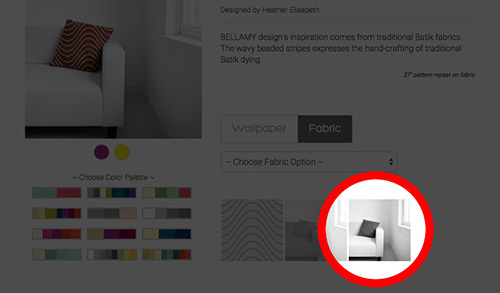 As you toggle between Wallpaper and Fabric, different scene preview options will be available to you. 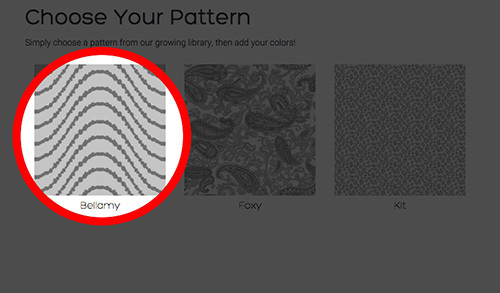 Simply click on one of the thumbnails to try your colors and pattern out in a simulated environment! When you're happy with your creation, just select the product type and complete the quantity information to add the item to your cart. Keep in mind that our preview tools are just previews, so if you're ordering a large quantity and require perfect matches on CMYK values, we suggest getting a sample first.